1. What is the nicest surprise about your organisation? 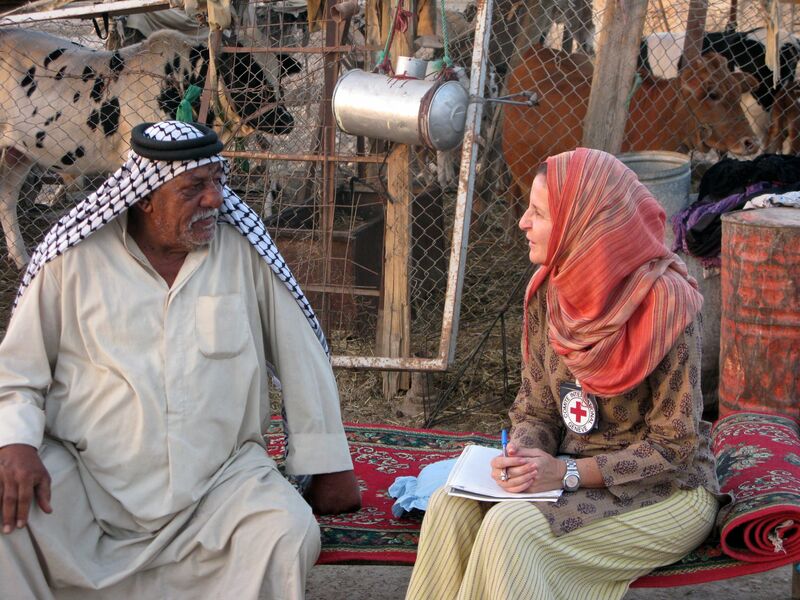 People should not shy away from applying to work for the ICRC even if they have studied theology or biology – we are not just looking for people who have studied International Law or International Relations. What counts in the end is the personality and charisma of the individuals – we want people from all walks of life – interesting backpacking experience in the North Pole is as important as a third masters degree! We are looking for people who are ready to put their academic background at the service of defending human dignity and a cause. What we look for in candidates includes empathy and charisma – you will be confronted very quickly with people with whom you have to negotiate – if you don’t have charisma, you won’t be able to do this. They also need modesty because each of us can only play a small role but they must also be motivated, authentic and sincere. Even if you made it through our recruitment process, anyone lacking these qualities would be caught out very quickly in the field as they will not be able to handle the difficult situations that our people face. We need people who are older than 25, with at least one masters, who speak a couple of languages. If you meet these tough basic criteria, we then focus on evaluating people’s personalities. This is not an easy task which is why we have an assessment centre where we bring people together and present them with very demanding challenges. Our people can face some incredibly tough situations. Recruiting those who are best able to cope is our first goal. The recruitment process is tough because we also try to identify those who can confront these challenges. I am not talking about physical strength but about being psychologically solid. In case support is nevertheless needed, we have a unit called HR health to ensure adequate follow up. Our understanding of how to support people has improved a lot over the past years. This starts with support in the field with debriefings within the team and may continue with additional support at HQ upon return, if there is a need. It is part of our duty to ensure that people remain healthy in a holistic fashion, physically as well as psychologically. 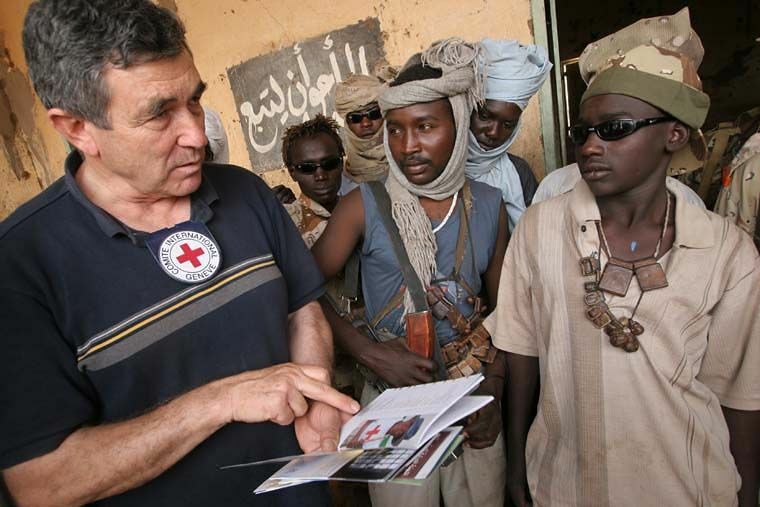 The most interesting and unique feature about the ICRC is that we are simultaneously very close to the people directly affected by conflict or disaster and the resulting problems and also very close to the authorities, with the aim to bring about positive change for the affected people. It is rare to have the chance to work at both levels, but we are often uniquely placed to have this access to the authorities and influence the fate of the victims. Our ultimate goal is to get the authorities on either side of a frontline to assume responsibility towards their own people. This constant intention attracts lots of people with academic backgrounds but also others with more technical or practical skills. It is the combination of all those qualifications and its useful and intelligent application that make a real difference for those affected by a conflict. Bringing such a diversity of backgrounds together makes any team much more versatile – and brings different perspectives to the table that will also enrich your own experience. Today, young people are bombarded with images from crises areas. But they are far away and often idolize the work of the humanitarian workers. Stories on the internet or on TV further distort the reality to quite some extent. The day-to-day reality in the field can be very different. For example, many young people are so used to being online all the time, they can’t imagine not being connected. If, for instance, such people end up in South Sudan, they will be disconnected – and this could be quite a shock for them. People can feel oppressed because they can’t reach their loved ones over an SMS. Intellectually they may grasp that fact, but emotionally it may be a very difficult experience. Those who accept such facts are those who appreciate that real life offers something more than just virtual relationships. 3. Can you share the funniest answer you received to an interview question? We usually ask candidates to give us an idea what they would like to achieve within the ICRC. One candidate answered: “Well, now that I achieved everything I have been striving for being outside the ICRC, there is nothing left to aspire to other than to become head of operations in a few years from now…”. I was left spell-bound, especially as this person had been very humble throughout the entire interview! 4. Most inspiring remark from a candidate? One applicant once said that it had been his most cherished goal in life to become an ICRC delegate because he was seriously convinced that he wouldn’t be around if it hadn’t been for the Red Cross. When asked to elaborate, he explained that his grandfather had been saved from certain death by the Red Cross during the Second World War and that he had been told this story many times when he was a small child. It had brought alive the candidate’s determination to become a delegate. 5. Words of wisdom for future applicants? It needs conviction, determination and a good portion of humility to become a good delegate. However, most of all you need to have empathy, it is the real key to understanding, developing and then implementing the right response with the necessary energy and drive. Do you have what it takes to defend a human cause and to work for this international organisation?